Click on the section below to download my concrete calculator, rebar reference and formula reference spread sheet. The concrete calculator can be used in Excel to quickly get concrete cubic yardage totals. Simply fill in dimension into the cell area and get a result. The graphic to the right shows sample view of the excel concrete calculator. 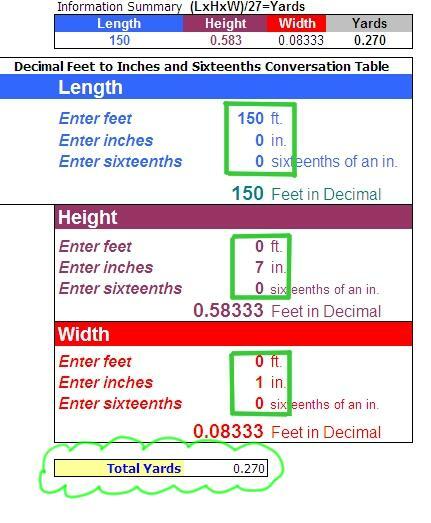 The areas boxed in with green lines simply require that you fill in your dimensions to get a concrete total.